Most recent publications as well as themes in regards to Trees. Find out about mysteries, stories along with handy advice in regards to Trees. See the most recent charts as well as write ups in regards to Trees. We're used to seeing trees as just another part of the background that surrounds us, rarely acknowledging that they too are living things that experience emotions and communicate with each other - things which allow them to survive for centuries. According to researchers, the trees can move about 1″ per day. The trees don't move without reason, the scientific team of the Slovak Academy of Sciences told the BBC, they are in fact looking for better light. If you'd like to find out the strengths and weaknesses you express in a love relationship, pick one of the 5 trees pictured. With this test you'll also find out the type of person that would make the perfect partner for you. Pterocarpus angolensis is an unusual tree found in South Africa. When it's cut down, the trunk releases a liquid which looks strikingly similar to human blood. 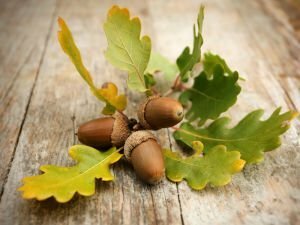 Oak is represented as a holy tree in numerous cultures. For the ancient Greeks it was a symbol of peace, security and immortality. It was also called the tree of Zeus and Hera. Dogwood is used as a magical tree, which brings hope, health, long life and luck to the home. Long ago, the most durable weapons were made from dogwood.